Serving the women of southwestern Washington since 1993, the all-women OB/GYN practice of South Sound Women’s Center in Olympia, Washington, provides professional, compassionate full-service care to women of all ages and life stages. All OB/GYNs at SSWC are board-certified by the American Board of Obstetrics and Gynecology. Their physicians have decades of experience in treating all facets of women’s health from pap smears and well women care exams to pregnancy and delivery, pelvic floor disorders, and menopause. SSWC understands the busy lives of its patients and offers many services and procedures right in the office for your convenience. Some of these services include ultrasounds, mammograms, a lab for blood work, MonaLisa Touch® vaginal rejuvenation therapy, and sterilization. Throughout your pregnancy, you get the combination of comfort and reassurance that comes from seeing the same OB/GYN at every visit. The SSWC OB/GYNs are prepared to handle all types of childbirth, including cesarean sections, or C-sections, and vaginal births after C-sections. The SSWC office is a short distance away from the Capital Medical Center’s Labor & Delivery suite. At SSWC, you receive expert and supportive care at every life stage and for every health issue or concern. "I have seen Dr. Richards as my OBGYN for the last 22 years. In all of the time I have known her, she has been nothing but warm, friendly and professional." "They let me know everything is perfect. They never miss a step and are very thorough with tests. I feel very confident next to them." "Wait time was short. Dr Johnson was very thorough and compassionate. 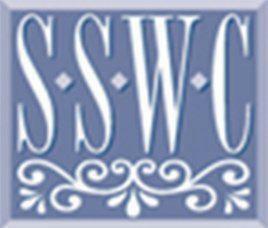 My experience with SSWC was excellent." "I have been going to SSWC for years. I always feel like I'm being heard when I have concerns and I just love the staff." "Wonderful staff, fast, professional, answered all my questions. Very very happy." "I have been going to SSWC for twelve years. I always feel the doctor listens to my concerns and puts me at ease." "I was looking for a place with personal, professional and compassionate care. The staff at SSWC has helped me with that. Thank You!" "I love the staff at SSWC! Everyone is kind and gentle. I didn't feel like they were rushing me through - they took time to answer any questions I had." "I have been seeing Dr. Johnson for years and really like her! She always takes the time to explain things and discuss issues with me." "I love Dr. Dickason as she has delivered both of my babies. She is a sweet professional woman who is very understanding." "Excellent doctor and surgeon. She understands athletes because she is one herself. Highly recommend." "Awesome doctor who is very professional, caring, and compassionate with her patients. Very knowledgeable and a great person." "Dr. Dickason is a life saver. I needed a hysterectomy due to life threatening complications and she turned my health around!" "Dr. Dickason delivered my children. I really like her!"